Today's fun for two reasons, 1) It's the very first recipe ever to be featured on my blog and 2) this lovely lady, Kate, lives in the city I most adore, Pittsburgh. 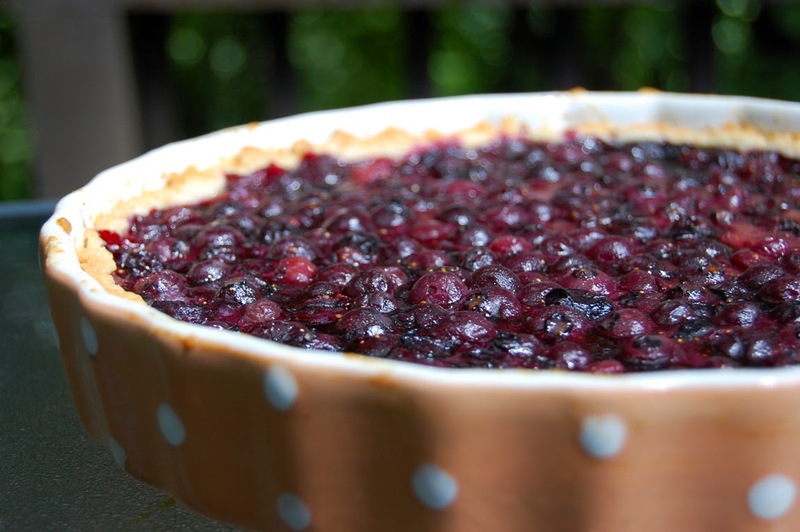 I hope you love the recipe we're sharing today and you'll be in your kitchen sometime this week whipping up some delicious blueberry tarts! 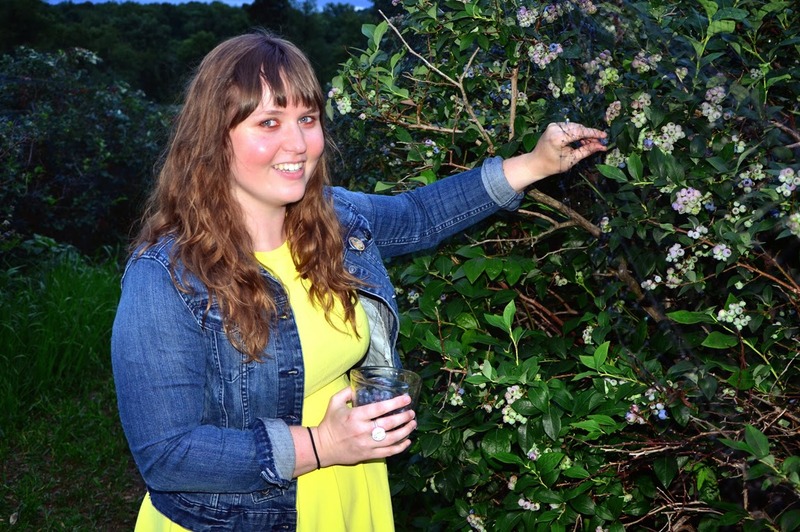 My name is Kate, and I blog at Thriftburgher. I'm a 20-something Pittsburgh native, who writes about thrifty things, recipes, outfits, and other fun stuff. In case you're wondering, the name is a twist on the words "thrifty" and "Pittsburgher". Anyway, this summer, I've been doing a ton of canning. It's not only a great way to cut down on food waste, but an efficient way to enjoy local produce all year, while being cheaper than buying a lot of fruits and veggies in the grocery store after they're out of season. And for the first time, I've been selling some of the things I've been making, mostly jams. So I've been working with lots of fruits, particularly blueberries, but not so much making other things, like baked goods and other treats. 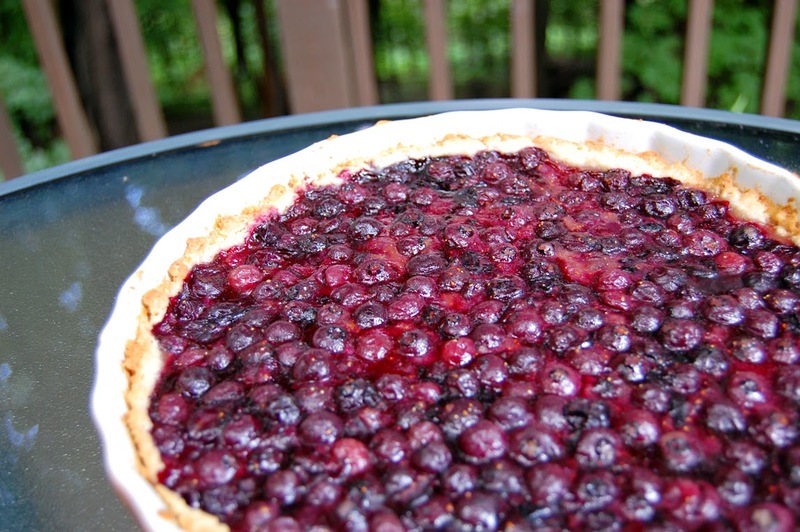 So, I decided to take a jam break to make a delicious blueberry tart. To enjoy some fruits of my labor, so to speak. Literally. I was inspired by a friend who made a tart (and shared!) a few weeks ago. It was amazing. I hope you all enjoy it! 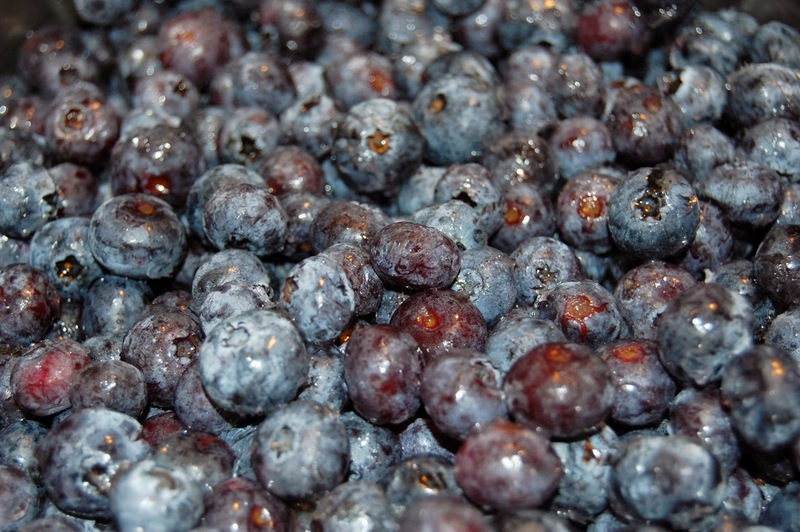 It was incredibly easy to make and it's great way to enjoy blueberries while they're still in season. 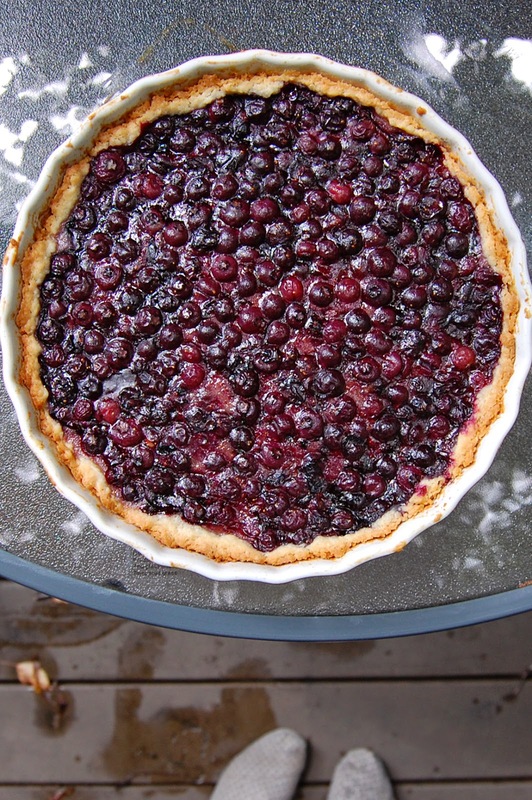 To make filling, mix together blueberries, sugar, flour, cinnamon, and nutmeg. Bake at 400 degrees for about an hour, or until crust is browned and filling is bubbly. Let cool and enjoy! Store in refrigerator.